Blogging tips based on 10 years of experience! Join in! Welcome to my blogging tips! I have run Easy Baby Life with passion for ten years. And I have learned a lot! Find my blogging tips here including blog income reports. In the beginning of 2016, it became apparent to me that I really had to do something about my blog earnings. I had been working with the same advertising networks for several years, and some just didn’t perform at all anymore. While searching for new options, I tried several – and became really disappointed most of the time. I also found a couple of good ones. BUT the searching also took me to several blog income reports, and I read them with great interest. Gah, some bloggers earn so much money. And with a lot less traffic than I receive. I’ve been so very lazy. Or focusing on the wrong things. And thereby losing out of substantial amounts of money probably. Not fun to realize after 10 years of blogging. But after sulking for a while, I decided to do something about it. I will start publishing my own income reports! It is a bit embarrassing because I could be doing so much better… but this forces me to focus on making money in addition to writing and supporting parents. That’s what a business woman is supposed to do, right? But despite whining over my lack of focus on income streams, I also realize that I do know a lot about blogging, search engines, structuring of a website, building and optimizing a website and many other related topics – in addition to parenting and babies which of course is the very core of this blog. But for any mom – or anyone else – who is interested in blogging and making a bit of money, I will now start a new section of EasyBabyLife, focusing on blogging. It is actually a great way to make a bit of money while being home with a baby too. That’s how I started this blog. So, join me on a new ride as a parent – expressing yourself online! In my April 2017 blog income report, I'll tell you how I made +$4k this month and why I moved from Aweber to Mailerlite for my email list. Come on in! 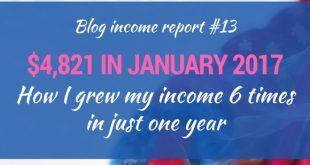 January 2017 Blog Income Report – Six Times More Than A Year Ago! Both blog income and traffic have increased massively since January last year. Read here what I did. 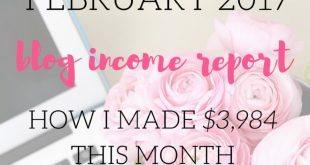 Here's my January 2017 blog income report! December 2016 Blog Income Report – What A Way to End The Year! 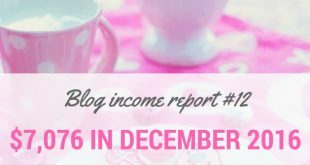 Here is the November 2016 blog income report for Easy Baby Life. Follow my journey to treat my beloved blog as my business! It went pretty well this month! 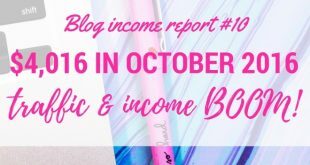 October 2016 Blog Income Report – Income & Traffic BOOM! 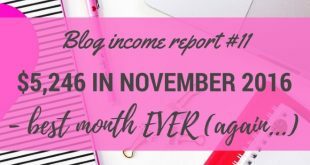 October blog income was my best so far EVER. I had a massive traffic increase and income over $4000. Read why in my October 2016 blog income report here.